If you’re like most people, your nine-to-five job requires you to use a cloud-based service to manage your workflow, contacts, or other parts of your daily routine. But, is using the cloud valuable outside of the enterprise context? You may be surprised just how effective the cloud can be for personal use. Here are the three key ways that the cloud protects your personal data. Whenever you store sensitive data online, one of the best ways to secure it is to translate that data to “ciphertext” that can only be deciphered using a secure key. These keys are sufficiently complex that they simply can’t be guessed or hacked by those trying to get access to your data. Encryption for personal storage in the cloud is nearly — but not entirely — universal. Because of the few exceptions, it remains important to educate yourself about cloud security for personal use. The single most important thing is that you learn to investigate the companies you work with and decide which ones are worthy of your trust. Since using encryption can be fairly expensive, there are disreputable providers who either skimp on encryption or go without it entirely. Other providers use less secure but more cost-effective methods, like data obfuscation or automated data redaction. These methods can have varied success depending on how exactly they are deployed, so educating yourself remains key. While vital, data encryption isn’t the only factor that comes into play when you store personal data on the cloud. One of the most important spaces is your login gateway. Cloud providers do a great deal to make sure this page can’t be broken into through a “brute force” hacking attempt, vulnerable access channels, or any other mechanisms that may give unauthorized access. As with data encryption, choosing the right provider is the key to ensuring that you receive this important security. Of course, human error continues to be a potential weakness. Along with choosing the right provider, it’s important that you employ smart password strategies like using different passwords for each account, using complex passwords that combine various character types, and so forth. It’s also valuable to educate yourself about phishing and other forms of online fraud. 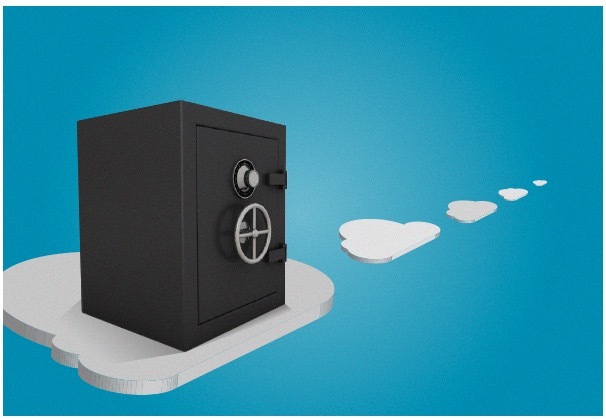 The very nature of cloud storage offers a number of valuable protections. When you’re on the go and you want to do something productive, for example, the automatic synchronization and storage of important files can ensure that you don’t lose any work. Even should your laptop or mobile device implode, your data would be safe. Additionally, cloud storage doesn’t just put your files in a single server location. The content is stored on a redundant lineup of servers, ensuring that — even if a hurricane strikes — your data won’t disappear. So, unlike a portable hard drive, cloud storage offers complete protection against loss or destruction. The enterprise applications for cloud storage are obvious and continue to dominate the marketplace. However, thanks to many advances prompted by this trend, you can take advantage of cloud storage technology to improve the way you store your own data. Sir it is a nice information but i want to knew something more like ,How to retrieve encrypted data. Cloud storage is one of the most reliable for big business which also protect our data from others. well yes no doubt in it that cloud is the best thing to save your data and the most important thing is it’s reliability means the protection of your privacy is up to the mark. No Doubt, Cloud Storage is boon for our generation in this world of privacy. Google Drive is one of the best which i use.